If there is one certainty about the first ball of the first Ashes Test between Australia and England on Thursday, it is that it will not end up unaided at second slip as Steve Harmison's wide delivery did four years ago. 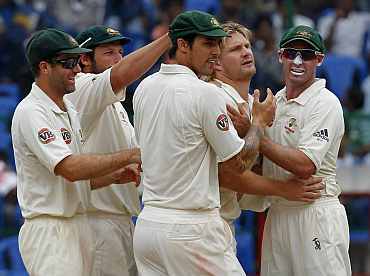 England went on to lose the series 5-0 and Harmison's howler at the Gabba has gone down in the annals of the game as the very worst way to open any cricket series, let alone the Ashes. Australia captain Ricky Ponting joked that he might take the new ball himself if the hosts bowled first and, while accepting that a bad start does not lose a series, is hoping to deal a similar psychological hammer blow on Thursday. "We'll be doing everything to win that first hour tomorrow," he said. "There's no doubt that that first hour of the last series out here set up our whole campaign. "We were able to capitalise on some very nervous English players and that definitely gave us a kick start and all the confidence we needed." 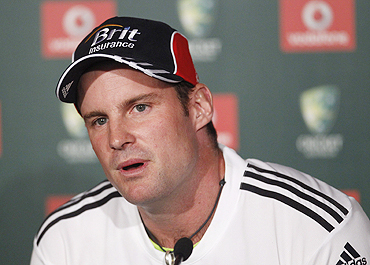 England captain Andrew Strauss joked that it was not "overly helpful" to mention Harmison's errant delivery, even if it was unlikely to be repeated. "We know pretty much who's going to be taking that first ball and we know he's got good control over the ball," he said. "The first ball doesn't win you the Ashes, there's no doubt about that. "If you want to win the series you need to win a lot more days than you lose," he added. "The first day is always important and people always look back on it and say this might have happened and that might have happened. "But the reality is that generally the better side over the five Tests will win it. 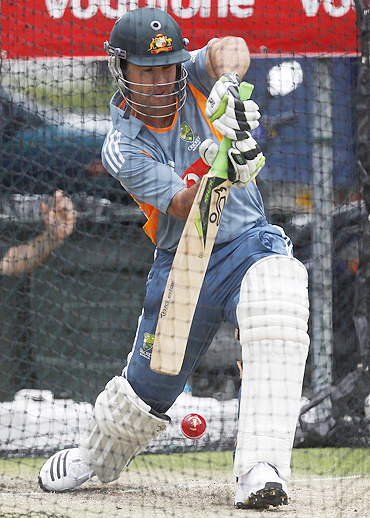 If you want to be the better side you need to play consistent cricket over all five Tests." Who bowls the first delivery will depend on which captain wins the toss and what he decides to do, with the rain showers and overcast skies Brisbane has experienced for the last two days a possible factor. The damp air should help the seamers swing the ball on what was already expected to be a lively wicket, perhaps tempting the winning captain to put the other in to bat first. Neither would divulge his tactics on Wednesday but Ponting has shown no desire to let his bowlers have first crack at the opposition since he put England in to bat at Edgbaston in the 2005 Ashes series and lost. For Strauss, the memory of the pillorying one of his predecessors Nasser Hussain took when he decided to take the ball at the Gabba after winning the toss at the start of the 2002 series might be enough to dissuade him. 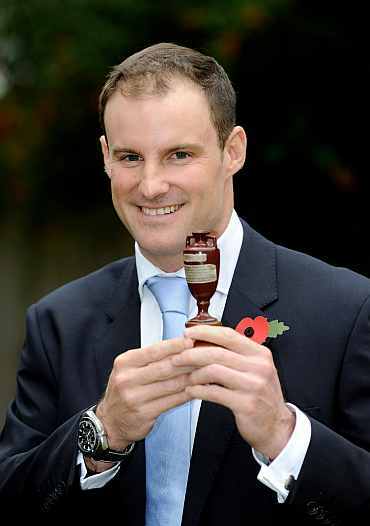 "I've got pretty firm ideas about what I'm going to do if I win the toss, but the reality is you've got to be prepared to do both," Strauss said, adding a firm "No" when asked if he had consulted Hussain about it. 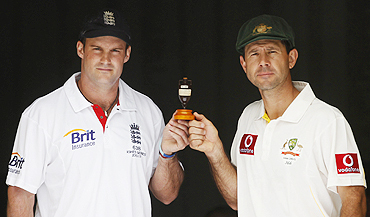 The first of the five Ashes Tests starts at The Gabba on Thursday.